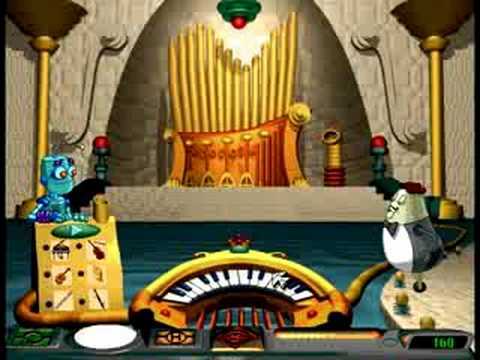 The random number generator just told me to write about the best educational computer game from my childhood. 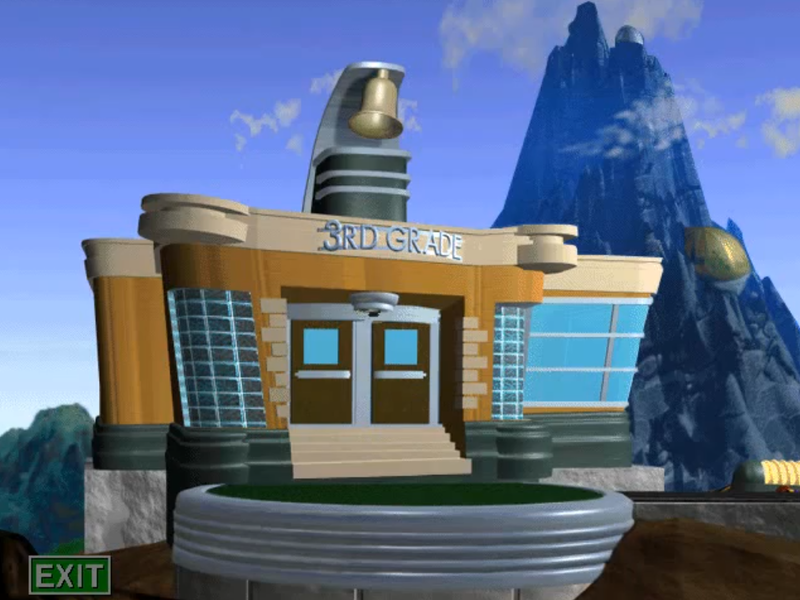 JumpStart Adventures 3rd Grade, Mystery Mountain! 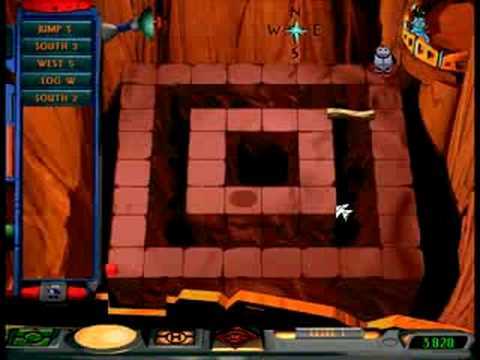 It’s a bit arbitrary whether or not I decide to count a video or computer game towards my list of beaten games. 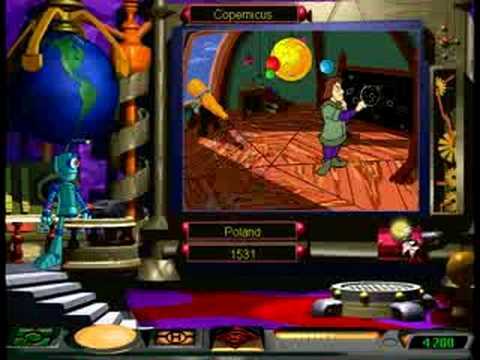 Usually, I will not count a computer game if it takes less than an hour to complete. That way, games intended for toddlers do not get counted (I don’t even remember all of the ones I played when I was that young). 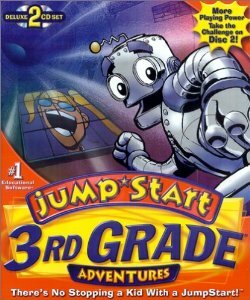 JumpStart 3rd Grade was, on the other hand, a pretty long game. I played the game when I was in first grade, then again when I was actually in third grade, and finally once more in fifth grade. Learning, after all, is for all ages. 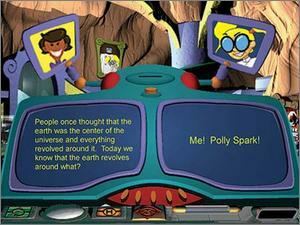 The antagonist of the game is a third grader named Polly Spark. Her dad is a scientist, and has all kinds of inventions at their house, including a time machine. Now, Polly was accustomed to getting perfect grades at school, and she suspected that the teacher would give her a perfect score on her 25 question test even if she purposely answered all of the questions wrong. 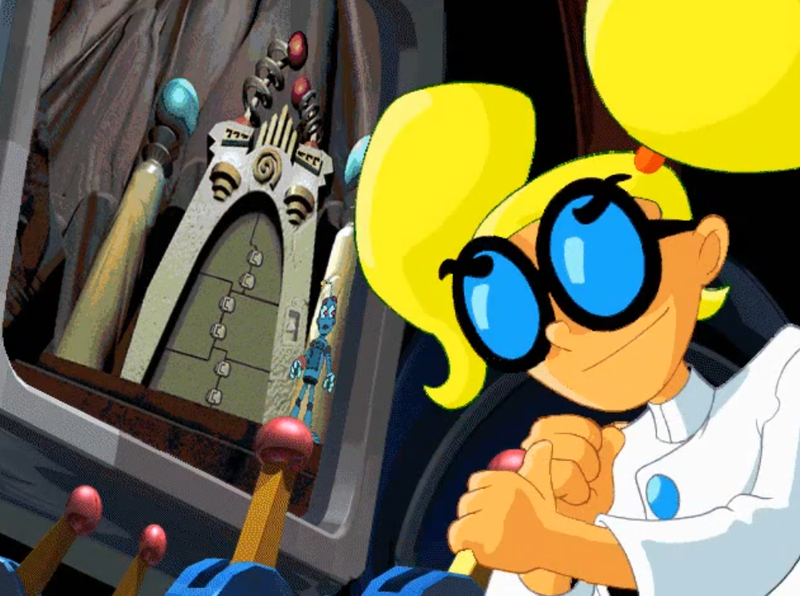 She, however, totally failed the test, so she decided to send 25 of her father’s robots back in time to change history so that all of the answers she gave on her test would be correct. 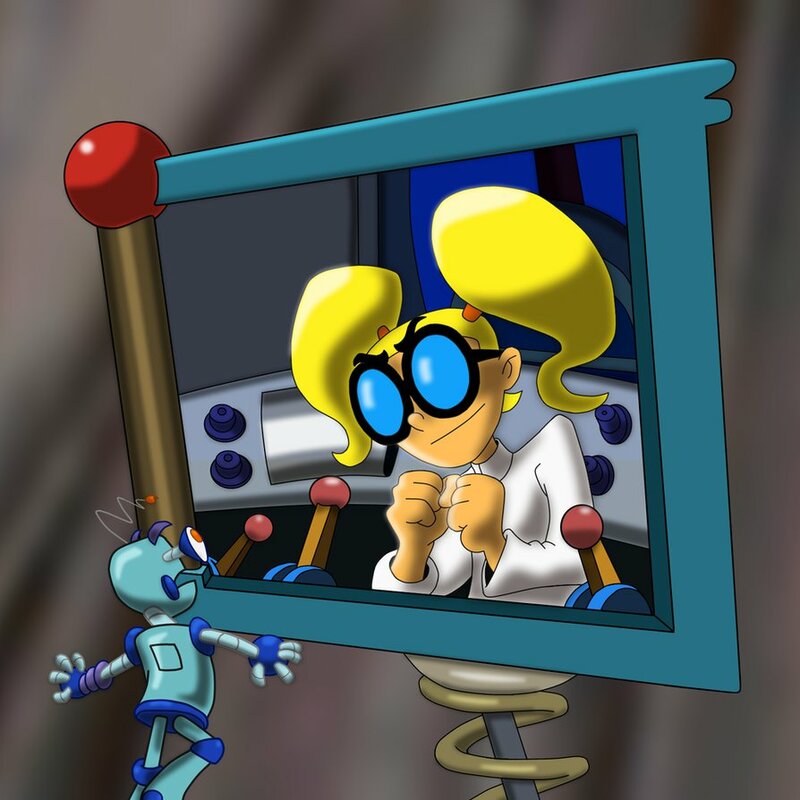 Another robot belonging to Polly’s father, named AndroidXL2 (or Botley), figures out what Polly has been up to and seeks the player’s help to restore history back to its proper state. 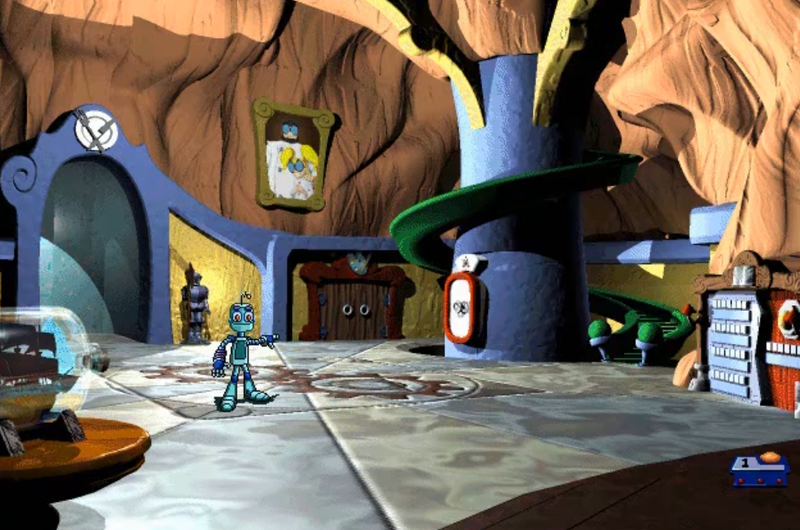 After breaking into Mystery Mountain, you never have to leave it for the remainder of the game. 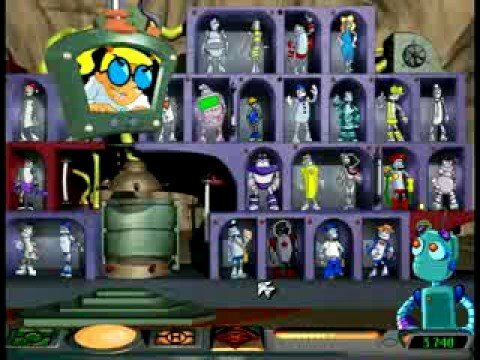 To save each robot, you need to collect 4 hints hidden throughout the mountain by completing randomly chosen activities. 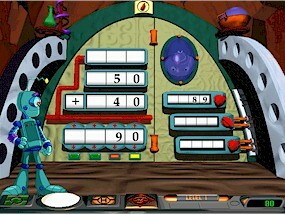 The activities include addition, subtraction, multiplication, division, fractions, words, music, puzzles, creativity, science trivia, reading comprehension, driving around a little rocket, playing complicated version of pong, astronomy, shooting lasers at objects going around in circles and robotics programming logic. 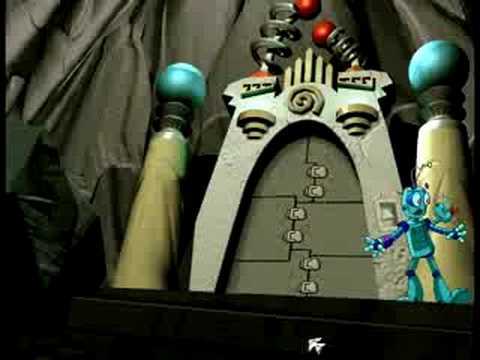 The whole time, Polly is in her father’s control room, and she contacts you whenever she feels like it using the many television screens hidden throughout the mountain. It becomes less frequent as the game goes on, but she is always watching. 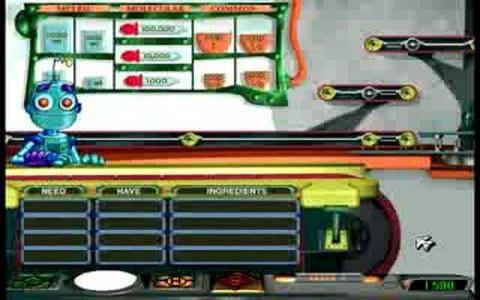 After collecting the four hints, you gain access to the time machine room, but before you can use the time machine you need to participate in a game show using the hints to determine where in time you’re supposed to be headed. This is where the history aspect of the game comes in. Once you know where you’re going, you can use the time machine to go back and recall the robot, restoring history to its proper shape. Occasionally, the mountain will run out of power. 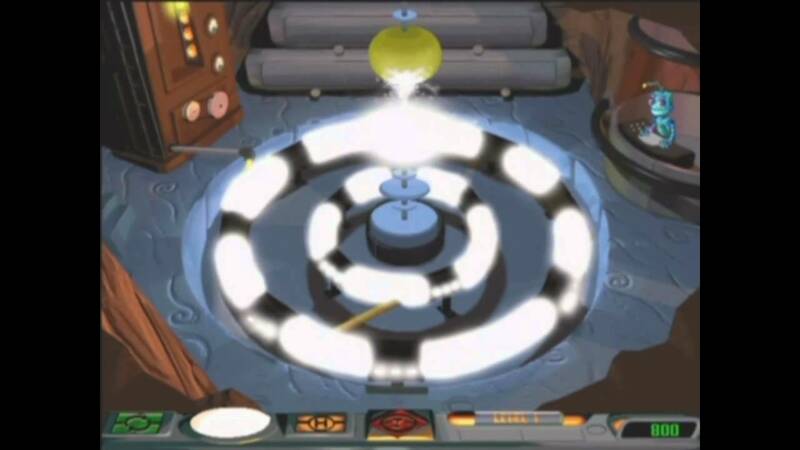 When that happens, you need to go to the basement where the generator is and recharge the mountain by quickly solving math problems. I really liked this dynamic of the game, because as the generator’s power lasted longer than it took to save a robot, it mixed up the pace of the game to make things a little more interesting. There are 25 robots you need to recall from the past. 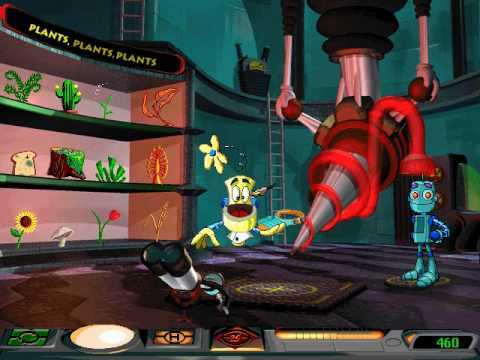 When I played this game it usually took me about an hour to save each robot, but if I played this game again today I wonder if I’d be able to finish it in just a day. I don’t really want to, though. It’s a good game, but I’ve pretty much memorized it by now. 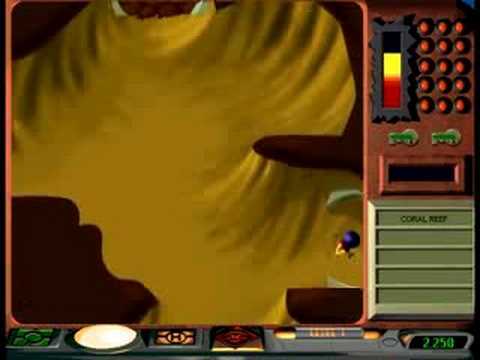 Because of its length, it was one of the most satisfying games to complete as a kid. 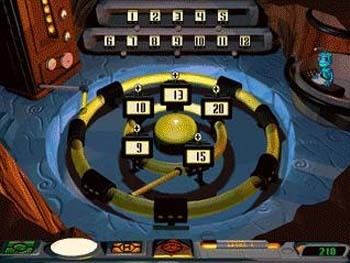 I’m not sure if kids today would like this game as much as I did, but if you have one, I’d say let them give it a shot. 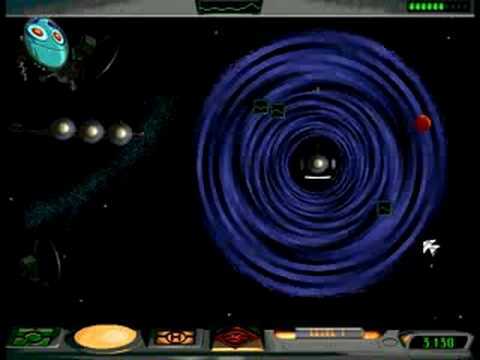 Although this game came out in 1998, I think that it might still work on current computers. Well then, Thanks for reading! Next Article Gaming Post 8: Super Mario Bros.